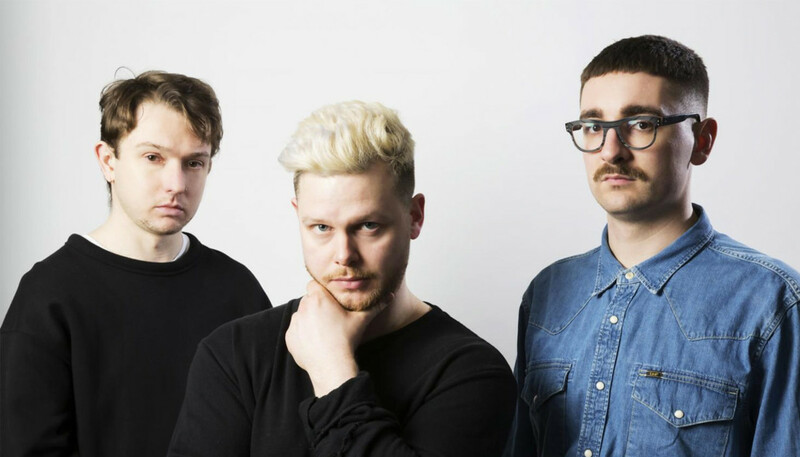 As Mercury Prize-approved trio Alt-J prepared to return with their third studio album, we sat down with two thirds of the band to find out more about it. Here’s what frontman Joe Newman and keyboardist Gus Unger-Hamilton had to say about the creative process behind Relaxer, their friendship with Miley Cyrus and the band’s plans for the rest of 2017. First of all, we have to mention the recent terror attack in Manchester. As arena artists yourselves, it must have all felt very close to the bone? Joe Newman: It’s a horrible thing, especially because for a lot of the children it would have been their first experience of a gig. That first gig is a rite of passage for a lot of young people, and the younger audience members would have left that gig saying, “That was the best night of my life.” And to go from that to being involved in one of the most tragic things that could happen... It’s just sickening. Gus Unger-Hamilton: Yeah, it’s terrible, and you don’t know what you can do about it. In this instance the attack took place not even in the concert, but in the foyer. There’s no way you can fight the kind of hatred that drives that sort of attack. You just have to hope that these things happen extremely rarely. We’re just thinking very much about everybody involved. So let’s talk about your new album. 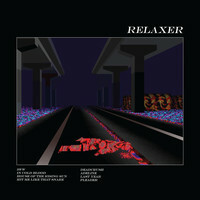 You recorded Relaxer all over London, right? How come? GU-H: It kind-of just happened. I think one of the main things to bear in mind is that being in the studio can be quite dull, so it’s really nice to get to go to different studios or spend a day out of your usual environment. And I think that does make the playing of the record fresher because you’re having more fun, and you’re more interested in being there. If you’re stuck in the same studio for three months you can get quite stale. Despite that, it is also always nice to go back to the same place and feel like you’re at home. We’ve recorded some of all of our albums in Charlie [Andrew], our producer’s studio in Brixton. It’s a very basic place but we got to know the area really well and we’ve been on friendly, first-name terms with the cafe over the road for about five years. They’ve got a pool table there which we use a lot with the other guys who work in the studio, and it’s a really nice environment. So it’s always nice going back there and hanging out. There’s no band that’s bigger than Glastonbury, and you can’t say that about any other festivals. This is your third time working with Charlie Andrew. What is it you like about his approach? GU-H: He’s been warned about it. JN: (Laughs) Yeah, a lingering touch... Charlie provides a fresh pair of ears but he’s also so in tune with what we do. That’s hard to come by: someone who understands what we’re doing but also can add to the output. We go through several processes when we write and he’s the final process. The songs wouldn’t sound the same if we weren’t working with him. GU-H: Yeah, I think so many bands, they can have great songs, get signed and they have the really tough process of finding the right producer. We were lucky to meet Charlie before we had a manager or a deal or anything, so I’ve never been in any doubt that we would use him to make our albums. And we’ve saved ourselves so much of the stress of finding the right person to produce by having him. Three albums in now, do you feel totally at ease with the creative process, or is it always daunting? GU-H: I think we do feel more at ease now. For example, this time round, when we started the process of writing this album we didn’t really have any idea of what songs were going to go on it and a lot of stuff was yet to be written completely, but we had to agree to a deadline. So last August we had to agree to have the album done by the end of January. I think the fact that we’d done two albums before gave us the confidence to be like, “Yes, it’s scary to commit to finishing an album when you don’t even know what it’s going to be, but I think we know that we can do it.” And I think it was a nice feeling to have that confidence. Tell us about “3WW” – how did Ellie Rowsell become involved? JN: We’ve toured with Wolf Alice and we’re friends so we had an idea... We write these mini, cinematic stories that sometimes have characters and I think this particular character deserved a female voice. We knew Ellie and she was working around the corner, so we just got in touch, like, “Do you want to come into the recording studio? We’ve got an idea that you might like.” We sent her the rough song and she really liked it so she recorded her part and it sounded great. The second single “In Cold Blood” is a complete contrast to “3WW”. Was that intentional? GU-H: I think that “In Cold Blood” was the song that felt more like a good single for radio; more of an obvious single, if you like. I mean, obviously we live an age now where singles aren’t really what they used to be. It’s not about putting a track on CD and selling it in Woolworths, and selling a million copies, unfortunately. But we felt that with “3WW” that was a good track to be the first one back, to say, “Hey, this is us at our most experimental but the track we’re most proud of, in terms of the music we love the most.” And I think “In Cold Blood” was more a track to say we also like writing poppier songs. We wanted to give people an example of the breadth of the album. You’ve got a really busy summer of touring ahead, including a gig at the O2 Arena, London, that ties in with the 10th anniversary of the venue. What are your memories of the O2? GU-H: We’ve had some really good times there. Our first gig there was in January 2014, which was incredible. I think it was the biggest headline show we’d ever done at that point and that was mind-blowing. And also we all went on a little band outing to see Miley Cyrus there. They have this backstage room there called the Fab Room, or something, which has a secret door within a bookcase that opens into another, even more secret room. It’s things like that that make it a fun venue to play; it’s not just your average dressing room with a sofa and a slab of water. What do you make of Miley Cyrus’ new material? JN: I haven’t heard it... But she’s really nice. We sampled her on one of our songs on our second album and she was really up for it. We’re mutual fans, so I do need to check her new stuff out, because I haven’t. GU-H: We’re terrible at listening to new music. And after the arenas you’re playing festivals. Do you have a favourite festival? JN: I mean, I think you’re a Latitude guy, and I’m a Glastonbury guy. They’re the two festivals that we probably grew up going to and heard a lot about. I always regard Glastonbury as the godfather. GU-H: Yeah, I think it’s the only festival that’s bigger than any headliner, isn’t it? There’s no band that’s bigger than Glastonbury, and you can’t say that about any other festivals. It’s always exciting to play there. Are there any artists you want to check out while you’re at Glastonbury? GU-H: Unfortunately we’re playing a different day to Radiohead, and we’re in Germany the day they’re playing. I would have loved to watch them. But Glastonbury is all about just wandering around and seeing what’s going on, you know? Maybe just going to some random little stage and seeing some guy with some bagpipes having some fun. That’s what I like about Glastonbury, that unpredictability. Do you have any time out planned at all? GU-H: I think we’re hopefully looking at a couple of weeks off in the autumn and then we’ll be back on tour, really. We’ll probably be touring until the festivals next summer, which is a lot to think about, but we love life on the road. It’s a great job to have. JN: We wouldn’t want to be doing anything else. We’re self-employed and at the end of the day that’s the dream to be working with so many people and to think that it’s our songs that have taken us there. We’re very, very, very fortunate.